The Ion® Technologies Residential Flood Control series offers certification on the Ion® System Solution, which includes battery backup systems, pumps, float switches and pump controllers for complete flood protection. The Ion® System Solution is designed for contractors who are interested in growing their business and increasing sales by selling the Ion® Technologies line along with a solution that builds relationships and wins customers over to lifetime partners. Any homeowner can purchase and install a sump pump from a DIY store, and just as easily install it incorrectly. Incorrectly installed and inferior quality sump pumps from DIY stores cost homeowners thousands of dollars in damage every year. 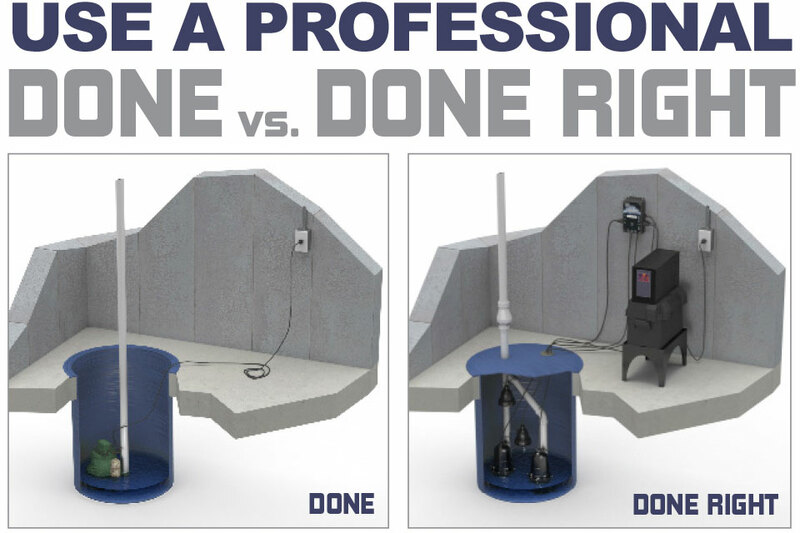 The Ion® System Solution helps solve problems that most homeowners have with a basement sump pump. By implementing the solution, homeowners will have peace of mind knowing that a contractor will install the right residential flood control products needed to keep their basement protected when disaster strikes. Following a 2 hour certification class, contractors will work with their customers to see that they get the Ion® System Solution. For more information on the Ion® System Solution, contact the Residential Division. Certified Ion® Solution Installers are recognized on the Ion Technologies website. For more information, visit IonProducts.net to view our entire lineup of pump systems or call Metropolitan Industries at 815-886-9200.